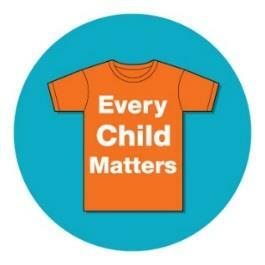 Orange shirt day has been declared on September 30th annually and has been happening for the past 6 years in Canada. The events were designed to commemorate the residential school experience, to witness and honour the healing journey of the survivors and their families, and to commit to the ongoing process of reconciliation. Chief Justice Murray Sinclair challenged all of the participants to keep the reconciliation process alive. This year September 30th falls on a Sunday. At South Slope / BCSD we will be commemorating this day on Monday October 1st. Students are invited to wear Orange Shirts on this day.